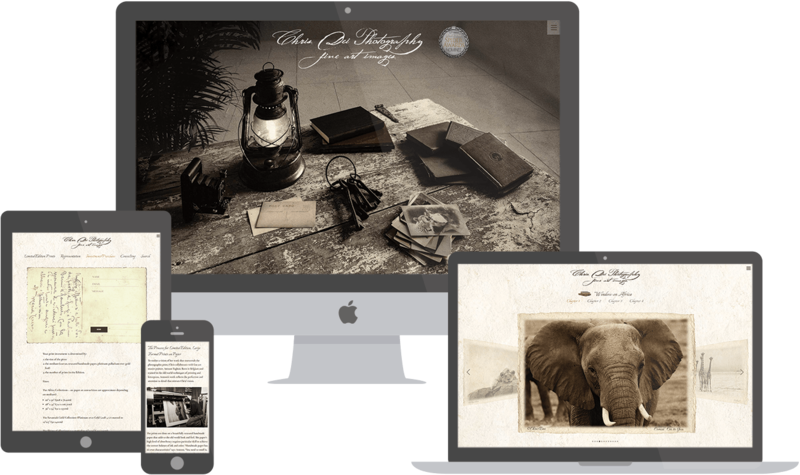 The complete website solution for photographers & agencies who want to streamline and modernize their online presence. You (probably) take awesome photos, but do you have a website that's serving you right? 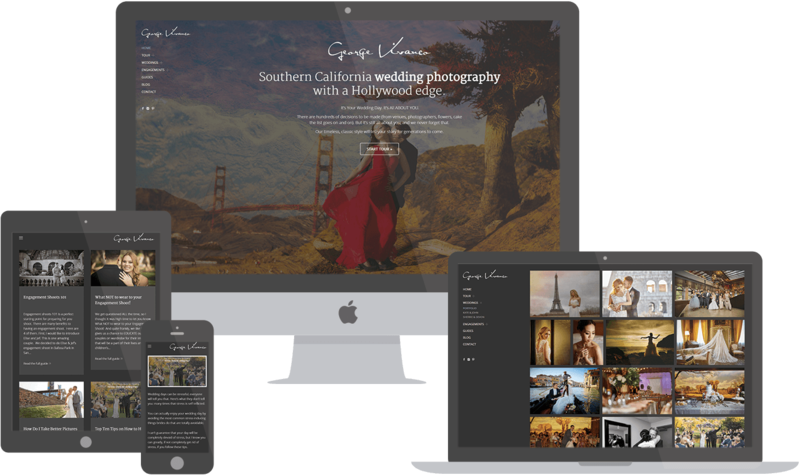 Have you already defined your target audience and business goals, but not sure how that translates into an effective photography website? Forget about bad experiences you might have had with other web-designers (who've missed deadlines, been uncommunicative or unprofessional). I'm honest and straightforward and expect the same from you if we're to start a great work relationship. With a ton of experience in photography websites and a willingness to really listen & understand the big-picture, I always focus on the results and value that I create. You already have a clear direction for your photography business, but need expert help to take it to that next level. You already have an outdated website (whose visual identity no longer matches the quality of your work), or you're just launching your business and want to do it well from the start. You're confident that a modern & cohesive website can set you apart in the industry and help you attract more work. You acknowledge that building a website is a collaboration and a discovery process journey (for both sides), and you're open to advice. No flash. Only browser-friendly HTML5 + CSS3 code, powered by a CMS and useful plugins & extensions depending on your site needs. I prefer using WordPress, but have experience with many other platforms as well. I focus a lot on using intuitive graphics and navigation menus, so visitors feel comfortable on your website right from the start. Your whole purpose is to save time and go out there to take more photos, right? I help with selecting the right platforms/tools that will minimize development time and make it easy for you to manage the site in the future, decluttering the admin area as much as possible and providing instructions where needed. Not all websites are built the same. Your business goals (getting more clients, increasing website traffic, getting more exposure in your niche, etc.) influence the way I design and structure your site. With a clear direction in mind, it's easier to stand out above the mediocrity out there. Depending on your specific needs, the website can allow visitors to: buy prints, licenses or other image-based products, hire you for assignments, book workshops/tours, learn more about you, share your work with other people, subscribe to your mailing list, fill out your forms, etc. I don't go overboard with minimalism (which would be an oxymoron), but I do try to infuse clarity and simplicity into everything I build. I love prevention: using a good hosting provider, security measures in place, an uptime monitor (so I’m immediately notified if the site ever goes down), only using trusted services and plugins, etc. 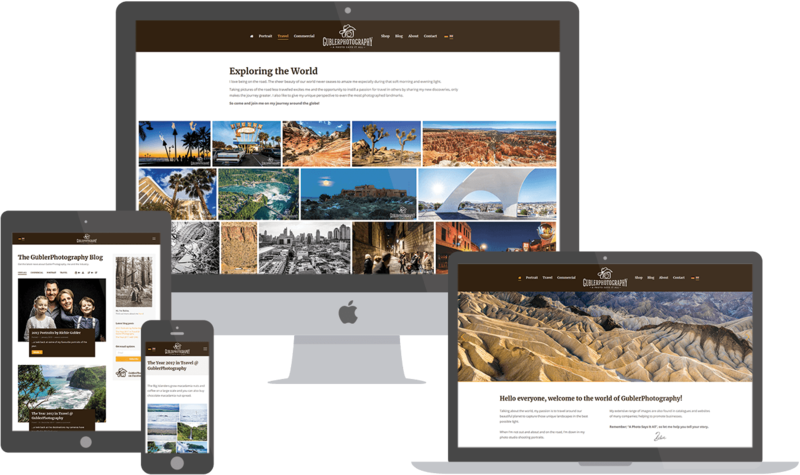 Your new photography website is still just a multiplier of the quality of your content and marketing efforts. If you think we'd be a good fit, let's get in touch. and I'm currently booking at least a few weeks in advance. Already have a good website but looking to improve some aspects?